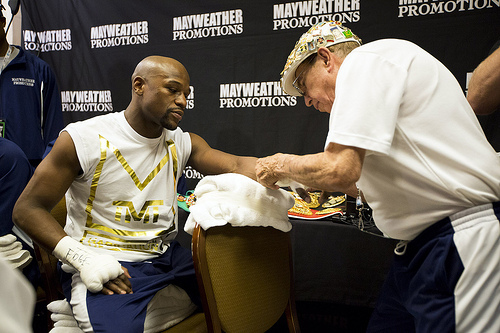 FLOYD HAD HIP-HOP'S SUPPORT IN VEGAS AS HE IMPROVED HIS RECORD TO 44-0 - CHECK THE PICS AND MORE HERE!!! 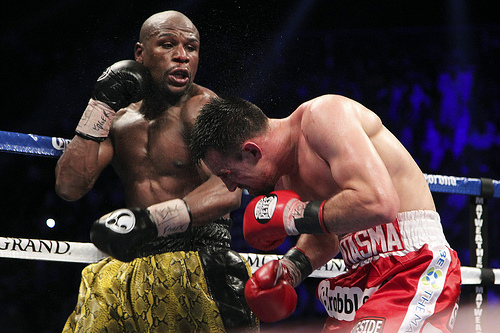 (AllHipHop News) It was a long night in Vegas and as predicted by many in the Hip-Hop world, Floyd "Money" Mayweather won by a unanimous decision against Robert "The Ghost" Guerrero last night at the MGM Grand. 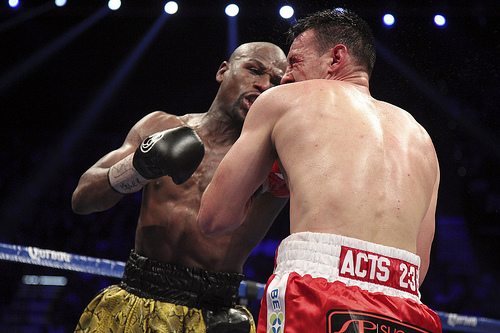 Improving his record to 44-0, Floyd won in 12 rounds of boxing as he finessed and punished Guerrero with jabs, hooks and defensive tactics that wore out the younger Guerrero out. 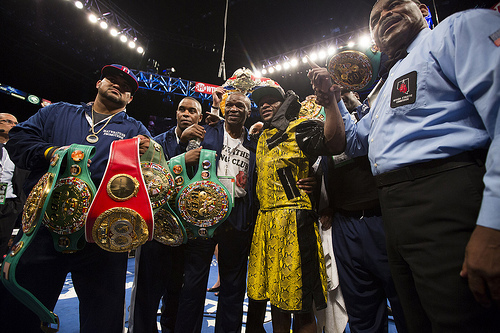 While some boxing analysts questioned whether or not Floyd's age and his recent incarceration would have an impact on the fight, Floyd held on to the Welterweight WBC Title in a decisive victory, silencing any critics that said he would be rusty. 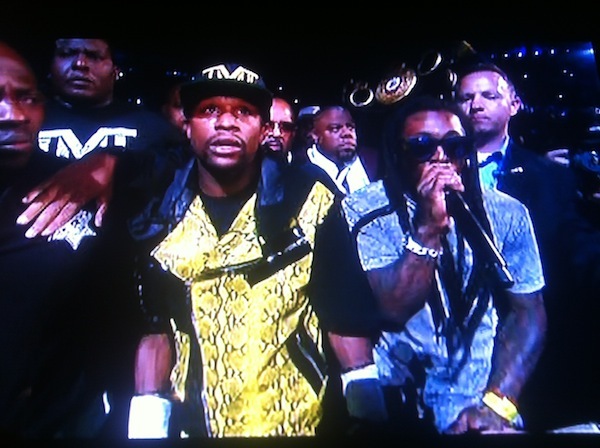 To start the fight Mayweather was escorted into the ring by Lil' Wayne who performed his song "No Worries" along side Floyds trainers, the TMT entourage and most importantly his father, Floyd Mayweather Sr.
Hip-Hop and R&B talent alike were in the building as Kelly Rowland sang the "National Anthem" for the United States. 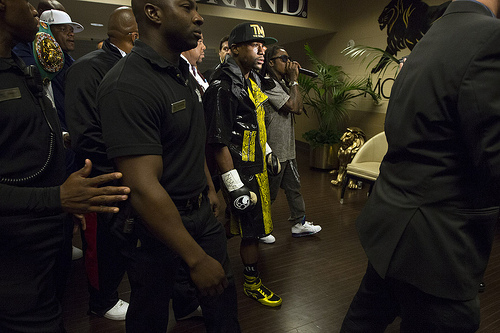 Also in attendance were Rick Ross and Sean "Diddy" Combs, who were pictured in between rounds. 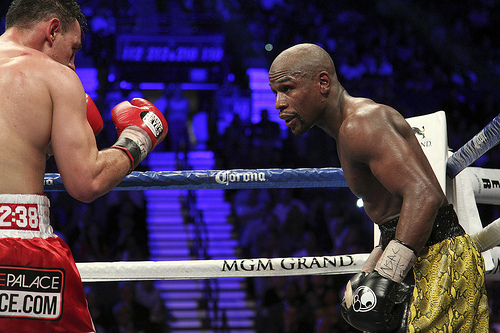 Throughout the fight Guerrero attacked Mayweather into the ropes, but everytime "Money" Mayweather danced circles around the frustrated Guerroro, countering with every shot that Guerrero landed. 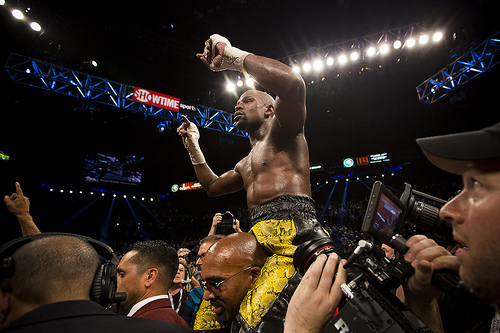 "We did it again," an exhausted Mayweather told reporters ring side. 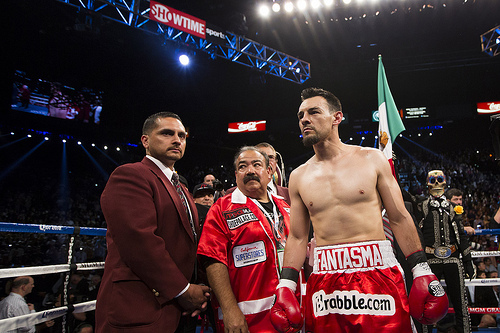 "I take my hat off to Robert Guerrero, he's a true warrior." 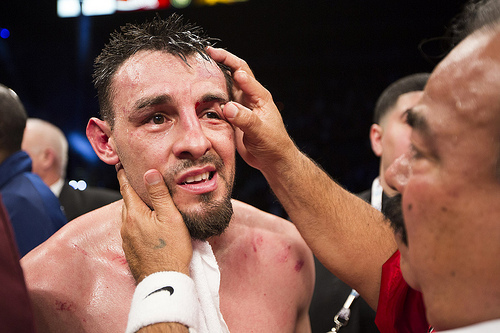 Throughout the final four rounds of the fight Guerrero was struggling to abate a cut over his eye that was caused by a fierce jab from Mayweather in the eighth round. 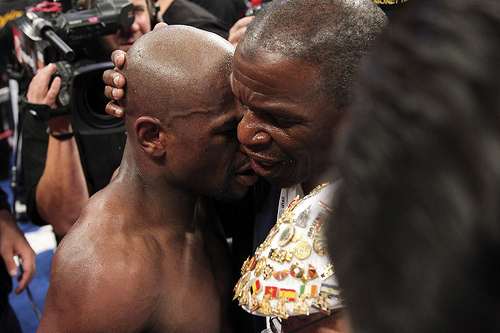 When Guerrero did get close to Floyd, he dodged Guerrero or the two often locked up and the judge had to separate the fighters, as Guerrero continued to take what Floyd called "rabbit punches" - punches to the back of the neck. 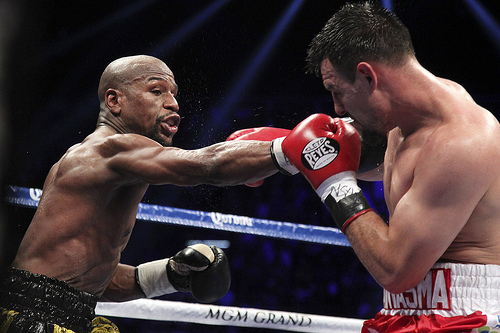 Three judges eventually scored the match 117-111, and while some booing fans were looking for the knockout, Floyd says that he hurt his right hand earlier in the fight and felt bad he was unable to get the KO for fans. 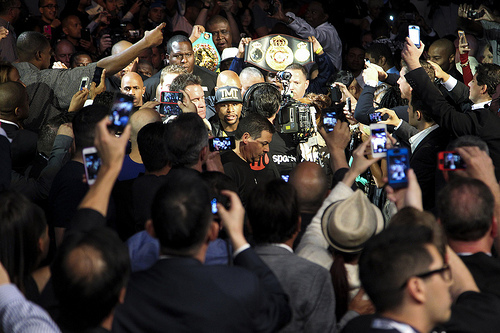 After the fight rappers rejoiced in Floyd's predicted victory. "Wow! I can't believe it. 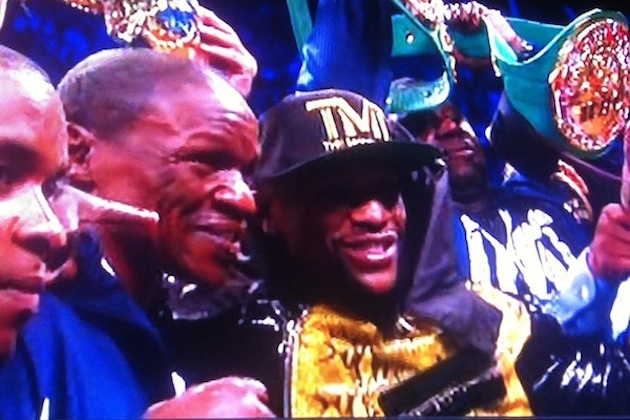 Floyd Mayweather just won!" - Captain Obvious." Chamillionaire said. 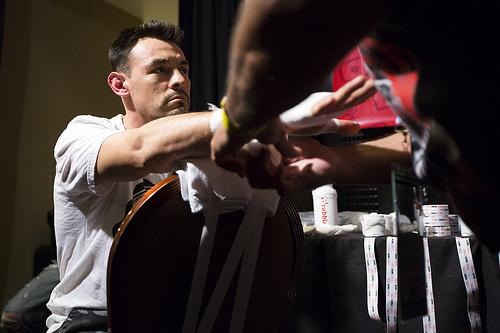 "Again I say.... Speed kills" Scarface Tweeted. "Floyd is remarkable S/O @LilTunechi for support our hit single commas @lepbogusboys and @masonbetha floyd got more commas tonight." - the LEP Bogus Boys Tweeted. 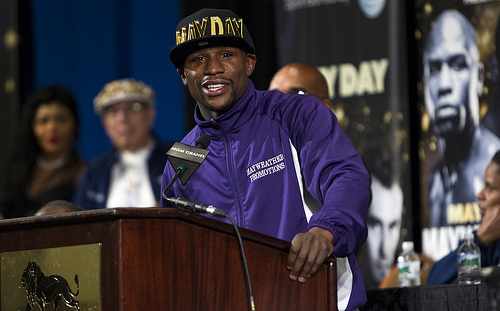 The night was also lucrative for some rappers that bet thousands on Floyd winning the fight. 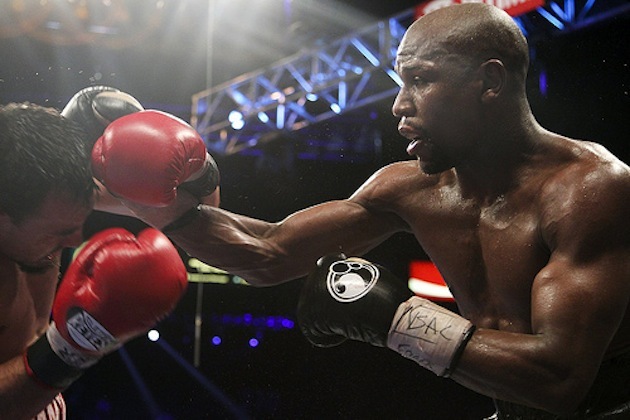 "I got 20 Bands on Floyd," West Coast rapper YG Tweeted before the fight. 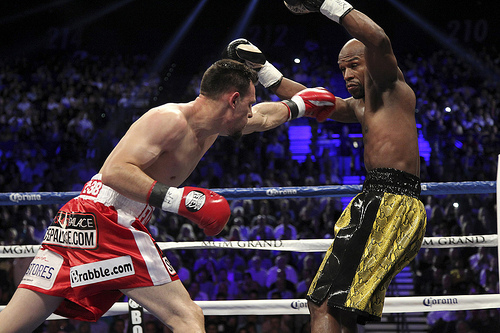 According to Golden Boy's Richard Schaefer, Floyd's next fights are potentially with Amir Khan, Danny Garcia or a rematch with Victor Ortiz, as he closes out his final five fights of his career.